Dr. Donovan arrived in Bowling Green early one morning back in 1906 with only $156.10 in his pocket. He had to sell his old horse, Prince, before setting out for Bowling Green and college. In the spring Dr. Donovan's money ran out and he began to get ready to leave Western and return home. President H.H. Cherry heard of Dr. Donovan's dilemma and offered to lend him the money to see him through. As soon as Dr. Donovan's father heard of this he immediately sent him $100, explaining, "If he is worth that much to Western's president, he is worth that much to me." 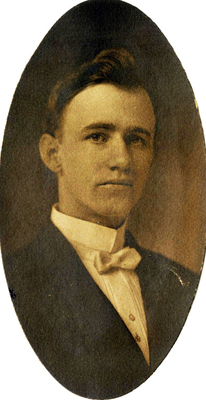 Herman Donovan graduated from WKU in 1908. He went on to earn his bachelor's degree from the University of Kentucky in 1914, a master's degree from Columbia University in 1920 and his Ph.D. from Peabody College, now Vanderbilt University in 1925.